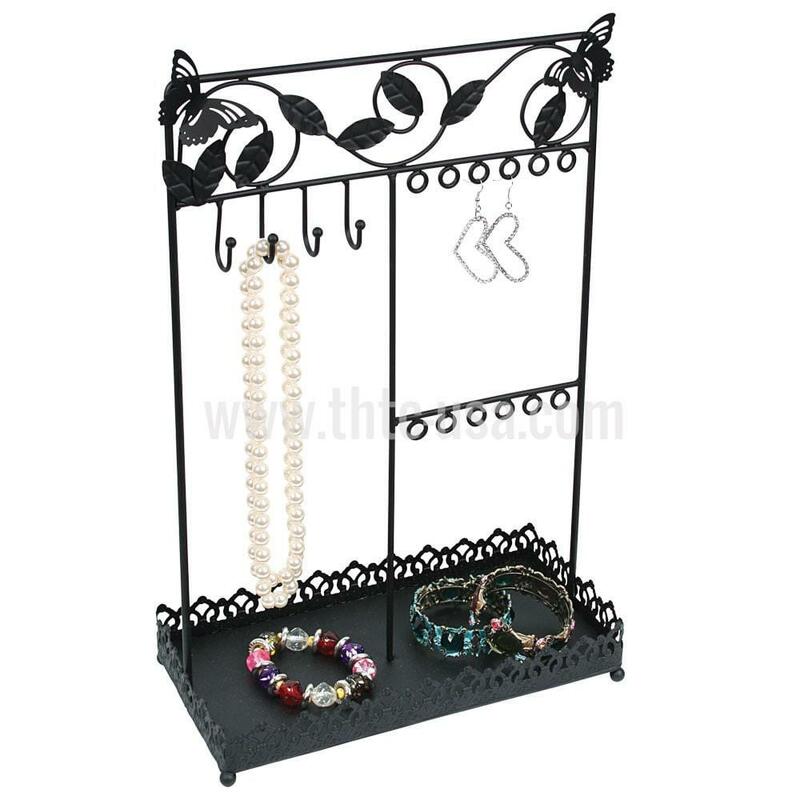 Combination Necklace/Earring Butterfly Display Stand W/Tray. 10 5/8" X 5 1/2" X 16 1/2" H. Will hold necklaces as well as earrings. Black metal.